Wellington: New Zealand’s popular Prime Minister John Key stunned the nation on Monday when he announced his resignation after eight years as leader. Key had been widely expected to contest his fourth general election next year. But he said he wanted to ensure he doesn’t make the mistake that some other world leaders have done, and instead wanted to leave while he was on top of his game. 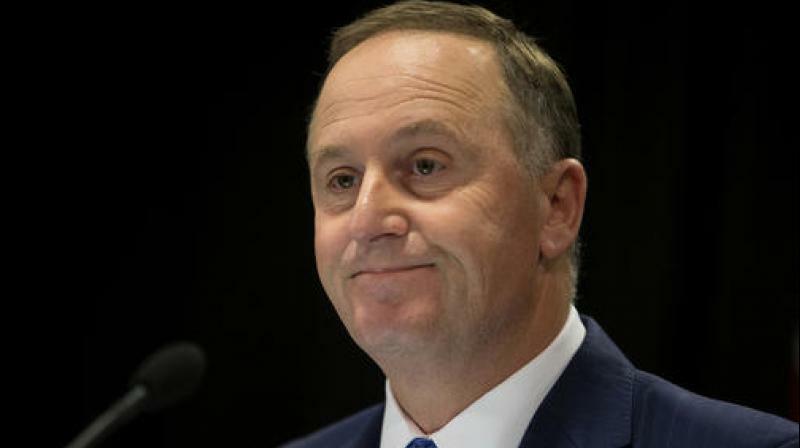 Key said his National Party caucus would meet December 12 to decide on a new party leader and prime minister, and that he expected to officially hand in his resignation that same day. Key said he would back his deputy Bill English for the role. The New Zealand dollar fell by nearly 1% on the news and was trading at USD 0.71. Key was a successful currency dealer before first he became a lawmaker in 2002. He had a quick rise, becoming leader of his centre-right opposition party in 2006 and then winning his first general election to become prime minister in 2008. He won subsequent elections in 2011 and 2014 and retained remarkably high popularity ratings. His party was a clear favourite to win again at next year’s election, at least until his announcement. Key said that steering the country of 4.7 million through the economic crisis of 2008 and on to relative economic success was a proud accomplishment. He also talked about the importance of standing beside the people of Christchurch after an earthquake in 2011 killed 185 people. But he said the role came with costs. He said he wasn’t sure what life after politics would bring, other than he would probably take up positions on a couple of boards. He said he would remain on as a member of parliament long enough that he wouldn’t force a special election ahead of next year’s general election.